As rumors spread throughout America that this is the most widespread flu season since 1940, I thought I would write about preventative measures one can take to protect oneself from the flu and strengthen the immune system. I have listed a few cherry picked PubMed articles for each of my suggested protocols, however it is worth noting that there are countless studies, articles, and world wide consensus on the approaches that I am suggesting, so I highly encourage you to take a dive into PubMed, or if you’re looking for reliable information on herbs I suggest investigating the American Botanical Council’s database of herbal research, I’ve linked to the page that helps teach you how to use the website. The information I am giving here is cursory, and simple enough for almost anyone to follow safely. 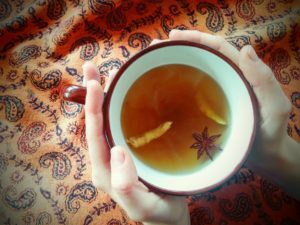 There are more complicated and unique herbal remedies available to help support the body through cold and flu season, but I highly recommend getting a full consultation with a registered herbalist before I offer up this information willy-nilly, because herbs may be natural, but that doesn’t mean they are always safe! Bone broths, and things with LOTS of garlic. 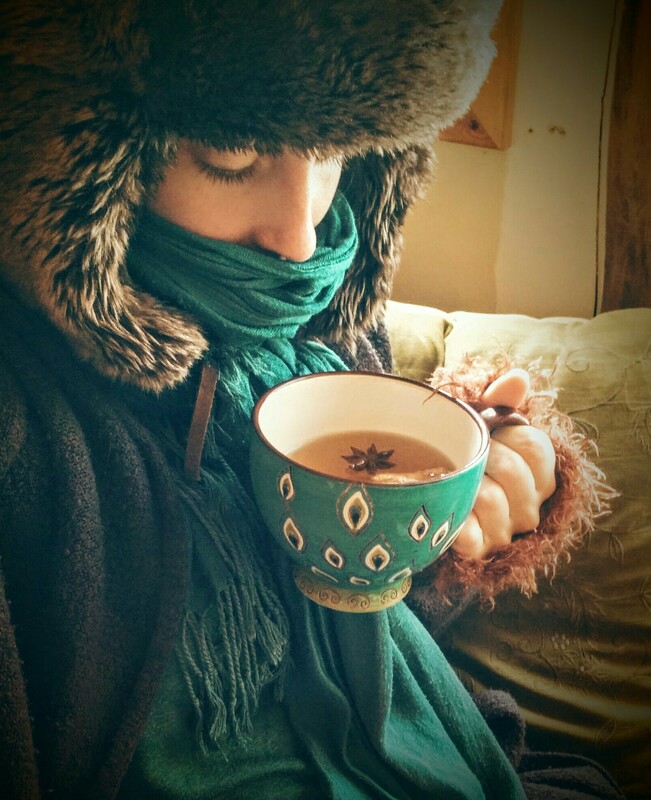 Bone broths are a fantastic source of vitamins and minerals, which help strengthen our bodies overall and give us the fortitude and nourishment we need to combat infections around us. At this time of year, we want to avoid cold and damp things (too many salads, cold greens drinks, juices, ice cream, sugar, etc), because we need to kindle the fires of digestion and metabolism. Collecting some good healthy fats in the system to use as energy and strength is the key this time of year. Healthy oil being the key, avoid hydrogenated, trans-fats, canola oil, and low temperature oils that were cooked at a high temp (i.e olive oil being used to make a stir-fry). This little bulb is incredible, in that it both kills bad bacteria and viruses whilst supporting good bacteria in the body. It can fight infection, protect against respiratory infection (garlic breath means it’s working! ), and fight the stomach flu. It has also been shown to reduce the severity and duration of the cold and flu viruses, and even help prevent some of the side effects of getting the flu shot! I prefer to take my garlic crushed in a glass of broth. 1-2 cloves daily. 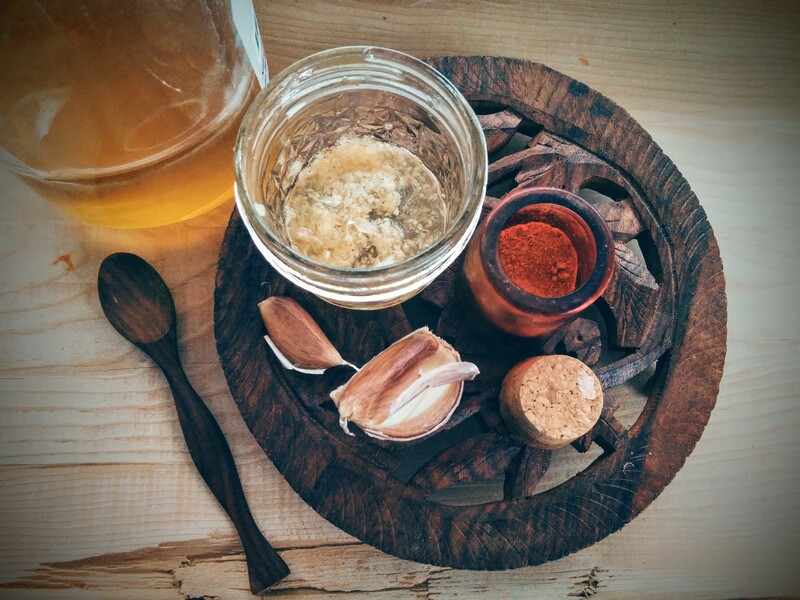 If I have a sore throat then I will crush my garlic with an equal amount of honey and add a pinch of cayenne pepper. The key here is to make sure that you are getting RAW garlic, the anti-viral phytochemicals are actually destroyed in the cooking process. Aged garlic reduces severity of cold and flu virus. Garlic and ginseng greatly reduced lung damage in mice with lung lesions caused by pesticides, showing that garlic may be a good choice in helping to heal the respiratory system. Call to use garlic and echinacea for the cold and flu season. During transitional seasons and times of low light, the body needs help with vitamin D production, likely because we evolved more to live near the equator, and without such steady sun, our body has difficulty producing enough to keep our immune systems in tip-top shape. This goes double for those with more melanin in their skin because it takes more time in the sun to convert cholesterol into vitamin D. Likewise, it’s important to remember that when we wear sunscreen it can prevent vitamin D from entering the bloodstream! More and more people are showing up with vitamin D deficiencies, so make sure you’re getting healthy sunshine and supplementation when the sun is hard to come by. I prefer to take my vitamin D in liquid form, usually from a small dropper bottle that offers 1,000-2,000 IU of D3 per drop (I take 8,000IU during the winter, and 10,000-20,000 if I’m sick). If you are vegan or vegetarian it is worth noting that unless specified, vitamin D3 is derived from sheep skin. MD noting the importance of vitamin D during cold and flu season. This vitamin supports our ability to heal, supports our immune system, and protects us against free radical damage. When a lot of people around you are talking about being sick, getting sick, or being around sick people, it doesn’t hurt to add 1,000-1,500mg of vitamin C to your daily routine. Get something with bioflavonoids, and preferably derived from Rosehips rather than pure ascorbic acid. Whatever you do AVOID chewable C or drinkable C, because the acid can do damage to your tooth enamel, and over time can lead to tooth decay. If you’ve taken antibiotics any time within the last 3 years, are exposed to chlorinated water, have had food poisoning recently, or didn’t get to play in the dirt a lot when you were a kid, it would be a good idea to pump up your good gut flora by taking a full spectrum pro-biotic during the flu season. Make sure to get a pro-biotic that needs to be kept in the refrigerator, and something that has 12-24 different strains of bacterium is best. If you can get human strain bacteria, all the better! Be sure to check the “other ingredients” section of the label, look for anti-caking agents that you might be allergic to if you have sensitivity to milk, corn, or potatoes. If you experience choice fatigue, go ahead and ask someone in the supplement section of your local health food store, they’re usually well trained and know where to steer you in regards to pro-bs! Bacillus subtilis active against flu virus. Lactobacilus effective against flu virus. Sambucus nigra has been used traditionally for countless years to help support the immune system and fight colds and flus. Modern research has proven that it is in fact effective against a spectrum of flu viruses and cold viruses. It can be taken preventatively, or if you already have a cold or flu. Keep in mind though, that taking any kind of herb over an extended period of time isn’t the best course of action, and sometimes it can decrease in effectiveness. I prefer to use it daily when everyone around me appears to be going under! And I’ll continue it’s use for about 1 month. 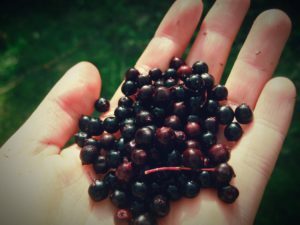 Elderberry syrup is safe for kids as well, and tastes great! In vitro study showing elderberry effective against flu virus. Evidence that elderberry is antiviral, but that there hasn’t been enough studies done pitting it against antiviral pharmaceuticals. Research shows a reduction in severity and duration of cold and flu symptoms in air travelers. Study in mice shows immune stimulating and virus inactivating properties of elderberry. Study shows in vitro activity against pathogenic bacteria and flu viruses. 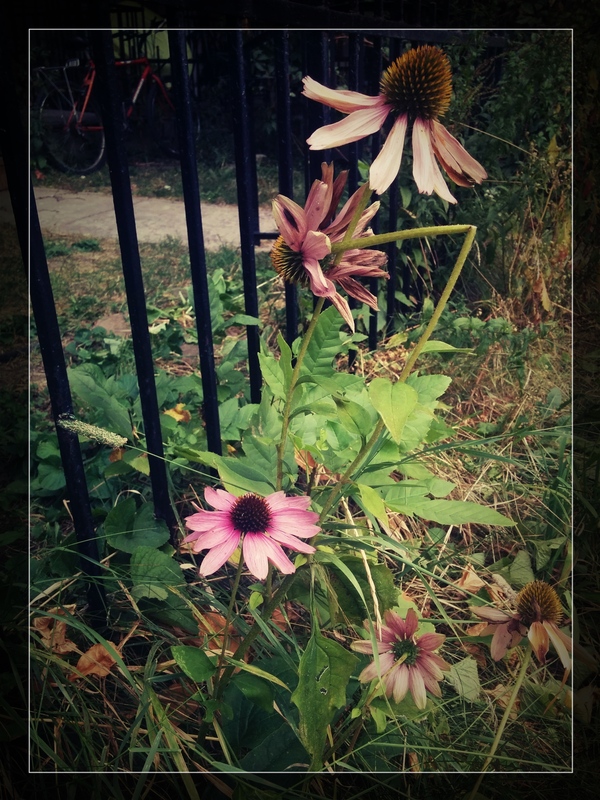 Study shows that Echinacea is as effective as anti-viral pharmaceuticals in early stages of flu viruses. Also showing that it worked better in decreasing severity of virus and flu complications such as nausea and vomiting. This is important, considering loss of fluids due to flu virus can lead to fatal cases of dehydration. 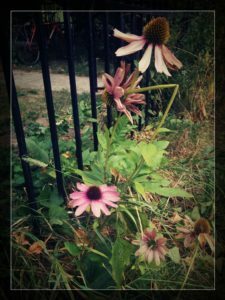 Study shows that Echinacea can reduce the risk of respiratory infection after contracting the flu or cold, by preventing bacterial adhesion to the lungs. Since bacterial pneumonia is one of the leading causes of fatal flu viruses in children, this is something important to factor in. Medicinal mushrooms have certainly gotten a lot of airtime in the last couple of years, reaching almost trend levels in the natural health community. They are amazing plant allies, and can indeed modulate the immune system, support the liver and cardiovascular system, stimulate the mind, and ground the body. However, a word of caution, wild mushrooms are more often than not full of heavy metals and other environmental toxins (they are FANTASTIC environmental cleaners), unless your mushrooms are coming from an incredibly clean environment, treat them with suspicion. Also, there are several mushrooms that are really only good for people who are actively battling cancer, these mushrooms take a long time to grow, and sustainable harvesting is rare. An example of this is Chaga, which is being harvested into endangerment, and being used without discretion. Check your sources, question your sources, and be sure to discontinue use if you’re going to be getting any kind of surgery (including dental), because many medicinal mushrooms can thin the blood. 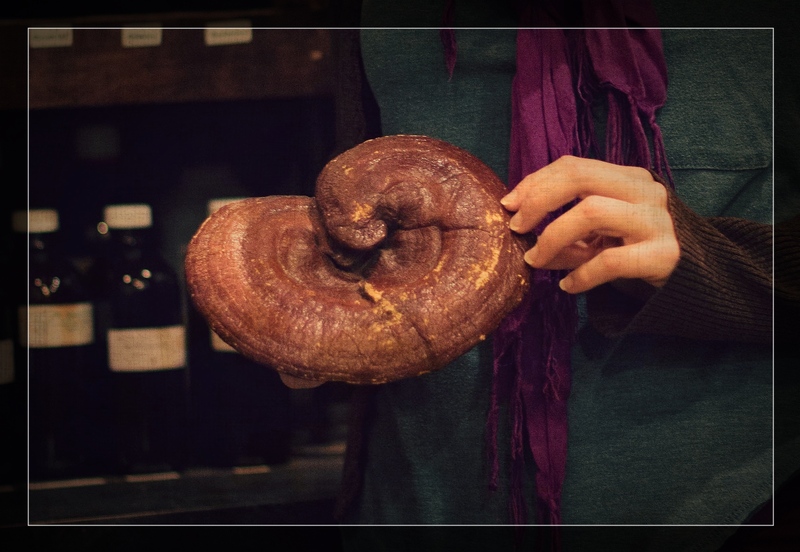 Study shows activity of Reishi against flu viruses. Overview of Reishi’s many properties. I know it’s hard in the winter to find time and strength to face the great outdoors, but it is oh so worth it and proven to help support the immune system. There is no such thing as bad weather, only bad clothing. Bundle up appropriately, even if you’re in a more temperate climate, do not underestimate damp, and cold, and temperature fluctuations. If there’s snow, get out cross country skiing, snow-shoeing, downhill skiing/snowboarding/sledding, iceskating, or winter biking! Staying indoors (homes, offices, cars, shopping centers), has been shown to greatly increase our chances of getting the cold or flu. Whether this is due to unhealthy inside air conditions, or the lack of vitamin D from the sun, it doesn’t matter, get out and keep your body moving, because THAT’s what it was made to do. If you’re body has trouble moving, research accessible alternatives in your area, because I bet you there is at least one option out there for you! Times to take the flu seriously! The flu is most commonly fatal in those with other chronic health issues, including neurological disorders, asthma, diabetes, heart conditions, etc. Children and elderly are the most susceptible to getting serious cases of the flu, though that doesn’t exclude perfectly healthy people from getting dangerous cases of the flu. If you run a high fever for longer than 12 hours straight, consider getting medical help. If your flu has you losing lots of fluids because of vomiting or diarrhea, this can make it much more dangerous. If you have another injury, it could make you more susceptible to getting a secondary infection. When in doubt, seek medical help! The things I’m suggesting here are not meant to replace medical assistant, they are to support healing and help prevent getting the cold and flu, as well as decreasing the severity of the virus. Please do everything in your ability to protect you and your family, and use your best judgement to know when natural remedies can help, and when you might need more serious help. There has been a recent trend for a lot of people to take Oregano oil internally as a form of “immune boosting and virus killing”, it is true that oregano oil is an active antimicrobial and quite effective against a range of viruses and infective agents. However! It is also effective against the good bacteria in your gut, which means if you take it continuously over the course of weeks, months, or the whole year, you are actually doing damage to one of the most powerful parts of your own innate immune system. Oregano oil is a full spectrum antibiotic, not quite as strong as over the counter prescription antibiotics, but it can be similarly damaging. If you’re going to use it, I suggest taking it when you feel the tickling of a respiratory infection or cough… though across the board, I find raw garlic to be more gentle on the system and more effective overall. There are also a lot of people who are now using high potency essential oils to protect against infections and viruses. Humans have not quite evolved to come into contact with such a high concentration of naturally occurring volatile oils, and as such, they can often build up in the liver and begin to stress the body until you develop a sensitivity to them. If you’re going to use essential oils, the best way is to defuse them gently in the house once a day for a brief period. Or if you’re going to apply them to your skin, to dilute most of them to a 1:10 ratio, 10 drops carrier oil (coconut, olive, almond, etc), to 1 drop essential oil… this helps to prevent sensitization and over burdening the liver. If you really want to make essential oils a bigger part of your life, the best suggestion I can give is to find a certified aromatherapist in your area, or even one that you can consult over the phone, or better yet, become one yourself! If your flu comes with a bad cough, tread carefully (secondary bacterial pneumonia is one of the leading causes of death from the flu). It’s good to calm the cough and even stop it at night so you can get healing sleep, however, if you don’t take measures to get yourself coughing and spitting up infection throughout the day, you could risk pushing an infection deeper into your lungs! Most over the counter cough syrups actually have medicines in them that suppress the cough reflex, so even though your lungs still have gobs of infected mucus to clear out, they cant! Gentle and soothing expectorants like Mullein, Marshmallow leaf/root, and mints are good teas to drink throughout the day to prevent deepening an infection. Closed spaces and vectors of infection. The flu is not just spread by someone coughing on you, or shaking your hand with their contaminated one. The flu can actually spread if you’re close enough to someone to breathe in their exhaled vapors. Try to avoid talking too close to anyone, or being in small rooms where there may be a lot of people (such as an elevator, or car), avoid forced or recirculated air, as these are common areas for bacteria and viruses to congregate. Avoid using the air blowers in public bathrooms, as they often recirculate a lot of bad/contaminated air right back onto your hands. If you’re going to fly, have something that you can put over your mouth and nose and try to avoid using the forced overhead air. Try not to share dishes or utensils with people who may be carriers for the flu, and if possible, avoid small children (sorry parents) as they are incredibly effective agents of infection. If you have to be around children, keep your hands washed, your mouth and nose covered, don’t eat things they hand you (toddlers always like giving me cookies and fruit… does anyone else have this problem? ), and eat some garlic after playing with them! When is the last time you really checked your home for mold, or other potentially hazardous agents? Mold in carpet, curtains, old beds, hidden under sinks and bathroom cabinets, basements… anywhere where air is having difficulty circulating. There is nothing quite like mold to dampen our immune systems, and there is nothing quite so prevalent in our modern world! It is an epidemic in old houses and historic structures. Keep your home safe and healthy by getting a mold check, or investing in a really good whole home air filtration system… the difference can be astounding! When all else fails, cuddle up with a blanket and all the comforts possible, ask for help, keep some soup on hand (possibly frozen and ready to thaw) in case you come down with the flu, and whatever you do… don’t go to work! Everyone will thank you to take care of yourself and stay home. When we get sick, it’s an opportunity to slow down and take care of ourselves. To allow for our bodies to exercise the ability to defend ourselves. To get stronger in the long run, and take a much needed break from the hectic world so many of us live in. Here’s to wishing for a healthy winter and spring, and good friends and family and pets to support you when you’re down.